Since there’s just one week left before September begins, it only makes sense to focus on our fall wardrobes from here on out. So today I’m sharing with you the 3 must-have denim pieces you need for the coming season. I’ll not only explain why you need them, but I’ll give styling ideas in addition to how I’m wearing them here. 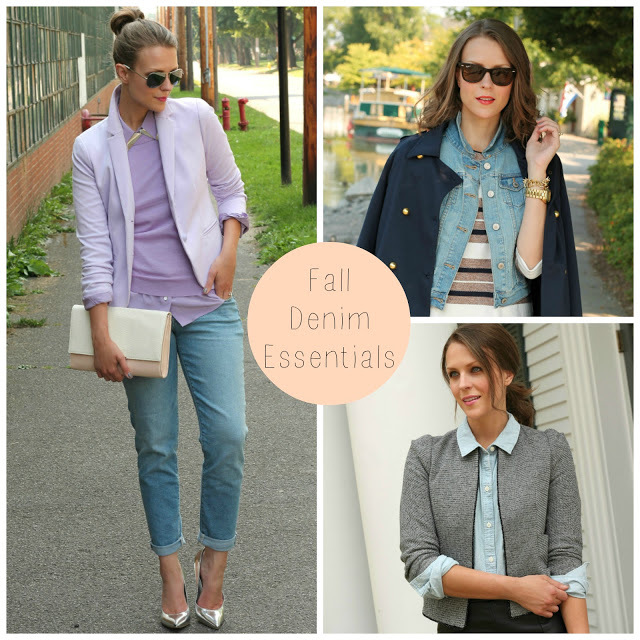 I’d love to hear your favorites in the comments below & what denim pieces you are loving right now! It took me a little while to jump on this bandwagon, but I’m so glad I did! 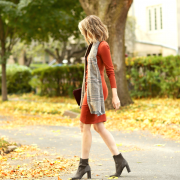 This is the perfect layering piece for fall – try it over a floral dress with ankle boots for a boho vibe, wear it over a turtleneck with tweed shorts or layer underneath your fall coat with the collar peeking out. I’ll be completely honest – I have a serious collection of chambray, but this cut & wash just might be my absolute favorite yet. Dress up with a leather pencil skirt for a night out, wear under a schoolboy blazer with slim cut trousers for the office or throw on with your favorite jeans (see number 3) for an effortless denim-on-denim look. Consider these your new go-to pair of denim. Easy to throw on with a sweatshirt or graphic tee for the weekend, but equally cool (& slightly unexpected) with a tailored blazer and classic pumps. The subtle skinny fit of these ensures they aren’t too baggy but still with a relaxed, comfortable, borrowed-from-the-boys feel. This post is sponsored by Old Navy.